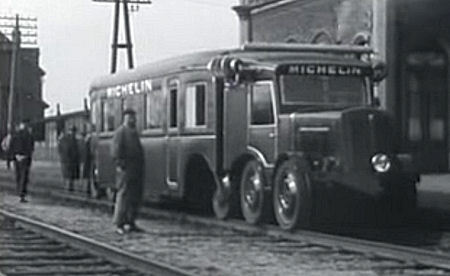 In the 1930s, Michelin developed the 'Micheline', a rubber-tyred train. Some Michelines were built in the United States by the Budd Company. Michelines offered unprecedented ride smoothness, but they soon proved to be problematic. The low load that the wheels could bear limited railcar sizes and demanded a high number of tyres (up to 20) per car. The extra complexity of rubber-tyred rolling stock meant that the Michelines were superseded by conventional steel-wheel rolling stock.